We are proud of our rooms which offer a lot of room. 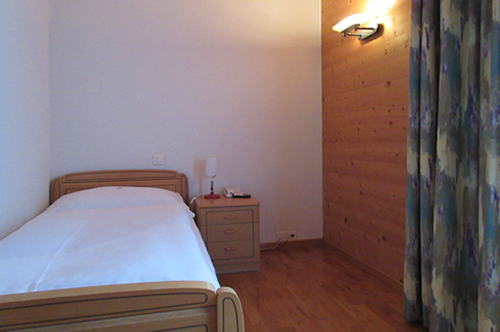 Each room has its own bathroom and has a new TV and free internet access. We are a family and pet friendly hotel. 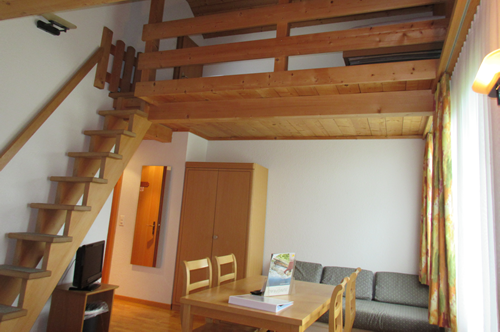 There are two single rooms, seven double rooms, one triple room and two family rooms with 4-5 beds available. Some rooms have a balcony. Next to our hotel we have two apartments for 4-5 guests each. 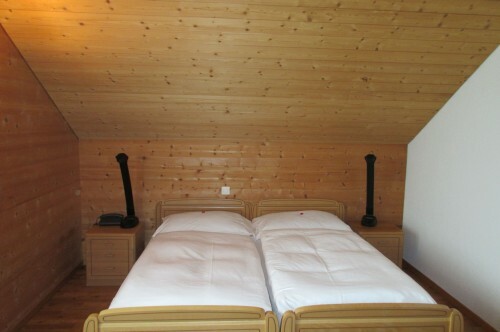 Our triple room with beautiful mountain views and a terrace have: Terrace, Mountain view, Telephone, Flat-screen TV, Heating, Sofa, Wooden / Parquet floor, Shower, Hairdryer, Bathroom, Towels, Linen Free Wi-Fi is available in all rooms. 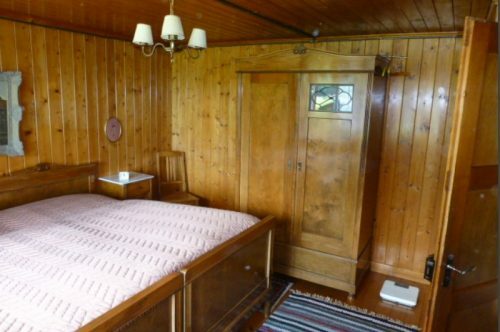 Our cozy four-bed room with a gallery is ideal for families and offer the following: a balcony with a mountain view, telephone, flat-screen TV, heating, a sofa bed, wooden/ parquet floor, shower, hairdryer and a bathroom with towels and linen. Wi-Fi is free and available in every room. Our cozy family room with a gallery is ideal for families and have: Balcony, Mountain view, Telephone, Flat-screen TV, Heating, Sofa, Wooden / Parquet floor, Shower, Hairdryer, Bathroom, Towels, Linen Free Wi-Fi is available in all rooms. 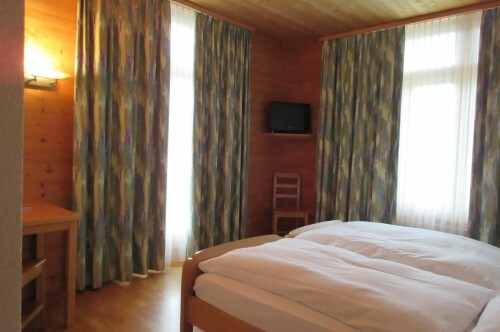 All our cozy double rooms convince with their own charm and character and offer the following: a balcony with a mountain view, telephone, flat-screen TV, heating, a sofa bed, wooden/ parquet floor, shower, hairdryer and a bathroom with towels and linen. Wi-Fi is free and available in every room. Our beautiful single rooms offer the following: telephone, flat-screen TV, heating, wooden/ parquet floor, shower, hairdryer and a bathroom with towels and linen. Wi-Fi is free and available in every room. 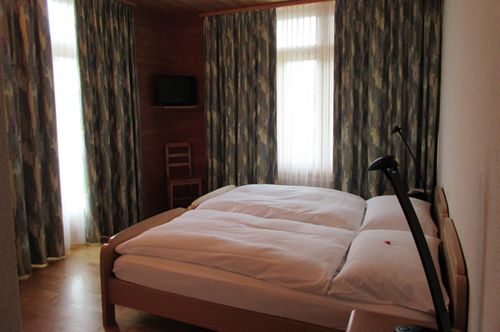 Depending on the location, our beautiful spacious single rooms feature a balcony with a mountain view. Our cozy apartment is ideal for families and has two bedrooms each furnished with a double bed, living room with sofa bed, shower/ WC, telephone and flat screen TV.